The Visit From The Bookbinder! It was well worth the wait!! When Louis visited our class on Friday, we were all amazed and delighted that he’d read all our finished stories … and had made them into real books – we’re going to design our own illustrations for the front covers. We’ll post pictures of them on here soon. “We had a very exciting day! Mr Valentine came in and gave a demonstration on how to bind books. He talked about how paper has developed through the years. At the start people scratched on rocks, then the Ancient Romans invented tablet things to write on. After that the Egyptions invented Papyrus made from reeds. Next people copied papyrus and made a scroll. Then the japanese invented paper made from grass. After that the Japanese invented the first notebook. He then told us about what skills you need to be a Bookbinder. There was reading, listening, patience, spelling, imagination, maths, communication skills and you had to be good working with your hands. As you can see there are a lot of skills you need to become a Bookbinder. We looked at the pictures we took and tried to remember some of the things we learned. Press play and have a listen. 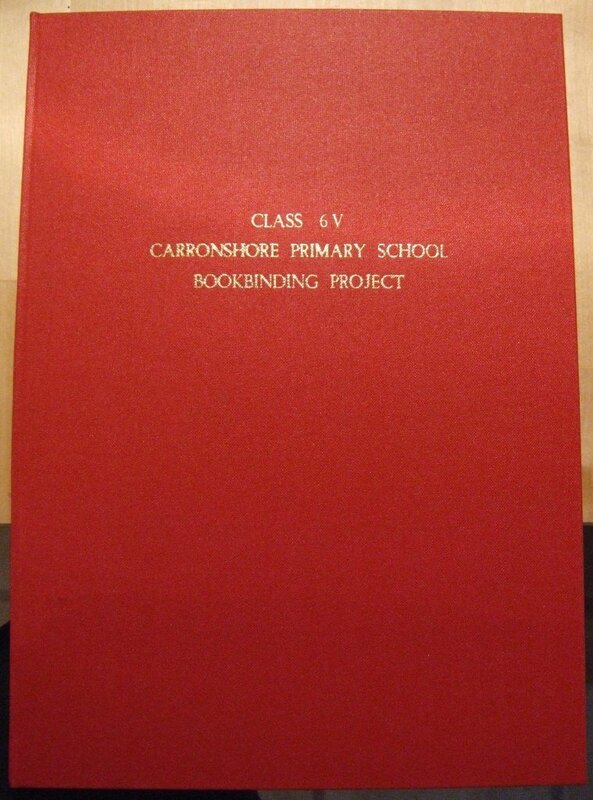 A few weeks ago, we all wrote letters to a local Bookbinding company http://www.carronvalebindery.co.uk/ . 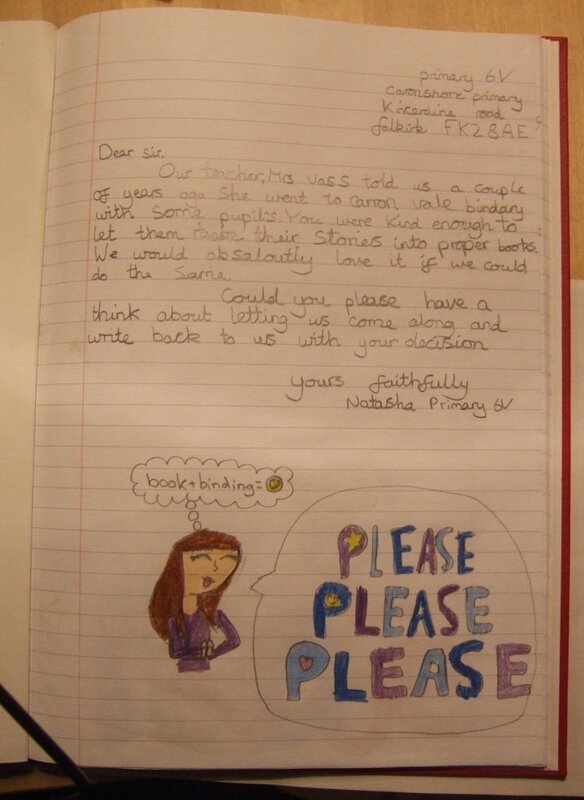 We’re so excited that they’ve written a letter back to us saying that they would like to come to our school and show us how to bind books so that they can be published. When they come to visit us, we’ll want to show them that we have great story ideas and we’ve all been very busy writing books. Some of us have been writing them on paper, and others have been writing them on our new wikispaces. Andrew loves his new wikispace and he wrote about it on his Glow Blog. You can read his Glow Blog post by clicking HERE . Check back soon and read about how our stories are being updated.